“I’m waiting for an answer” – Rafa Benitez’s fascinating message to NUFC chiefs – NUFC blog – Newcastle United blog – NUFC Fixtures, News and Forum. Rafa Benitez has insisted that the only club he is talking to is Newcastle United – putting the ball in Mike Ashley’s court by stating ‘I’m waiting for an answer”. This comes following claims from France last night that the Spaniard signed up to an employment agency, suggesting he was on the lookout for any Ligue 1 jobs, however the Spaniard has strongly denied this report from L’Equipe. “I read the story. On March 6 I was here training, having lunch, then I left at 7pm or 8pm. That was some Press conference in the end – Rafa Benitez swings the emphasis back to #nufc chiefs and bats the ball back into their court! 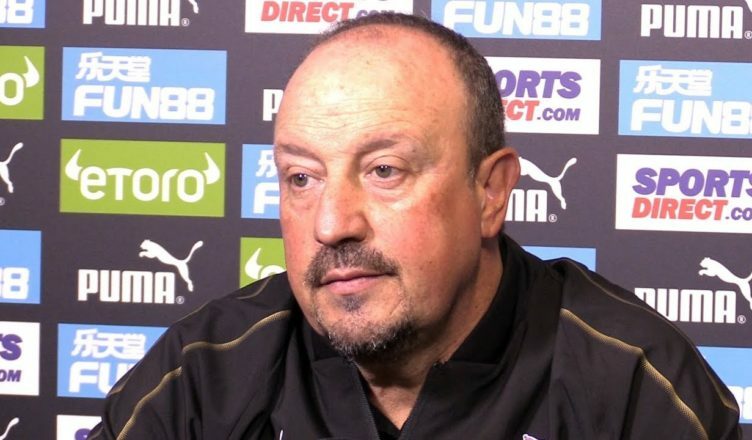 So, it sounds like talks are underway and that he has made his feelings known – with the ball now being firmly in the club’s court with regards to any new contract for Rafa. It seems likely that he has laid down the terms he requires to sign a new deal and is simply waiting to hear whether the club will agree to them – although he seems to be in the dark as to when he’ll hear back. For the sake of everyone, let’s hope they see sense and agree to his demands.